Almost everyone experiences back pain at some point in their lives. While pain in the lower back is far more common and generally caused by tension – be it from strained muscles, from lifting heavy objects, sudden impact, stress, anxiety or simply overexertion, upper back pain can be very painful and throw a wrench into your day-to-day activities. Almost 60% of adults in the UK and USA report back pain inhibits exercising, working and doing simple chores. These everyday habits can be causing serious imbalance in your muscular system, find out what they are and how to help relieve some of that tension. 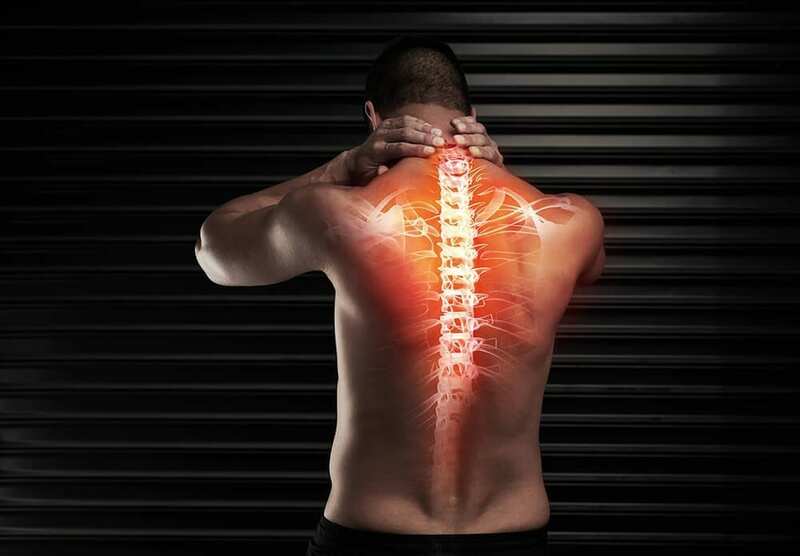 The leading cause of job-related disabilities is back pain. Whether you’re sat at a chair or do manual labor, chances are you exhibit bad posture or strain your back with too much weight – or both! If you’re sat at a desk, make sure the top edge of your monitors are at the same level as your eyes to prevent leaning forwards. If you find yourself slouching forward, you likely have weak muscles in your upper back and neck, unable to hold your head, shoulders and neck up properly. Try keeping your elbows at a 90° angle – it will reinforce your spine and help prevent slouching. 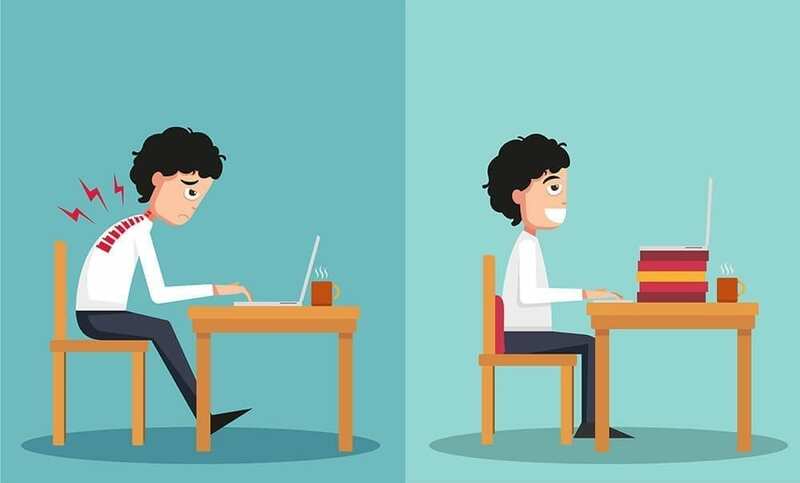 If you automatically slouch after a short while or have trouble sitting upright, try a standing desk for a couple of hours a day and muscle building exercises for the upper back and shoulders. If you’re in a job that requires lifting, avoid bending your back and using your hips – those two place the most weight on your back. Your body acts as a force multiplier – if you’re lifting a 2kg box using your back, you’re actually passing almost triple that weight through your spine. Instead, keep the object you’re lifting near your body and bend your knees, then use your legs to lift it up while keeping your back straight. It’s easy to get carried away and do strength training only for your arms, chest and legs. While rock-hard abs and big guns are impressive, they can have a negative effect on your back muscles – assuming you maintain a solid posture. The optimal workout encompasses your entire body. If all of the supportive muscles in your back – the ones that help keep your posture and hold the weight of your neck and back – start falling behind, your stronger muscles will pick up the slack to even out the imbalances. Eventually, they’ll overexert themselves leading to back pain. Try dedicating one of your workout days a week to upper back exercises or try these Pilates techniques. Anxiety and stress-related back pain is typically psychosomatic, that is, caused by psychological or emotional factors. Back pain due to stress can be long-lasting and actually lead to more stress as you become anxious about becoming limited or even unable to perform day-to-day functions. This type of back pain will slowly get worse and worse until you can pinpoint the cause of your stress and eliminate it. Many sufferers of this type of back pain won’t realise what’s happening, thinking instead they have an underlying physical problem. 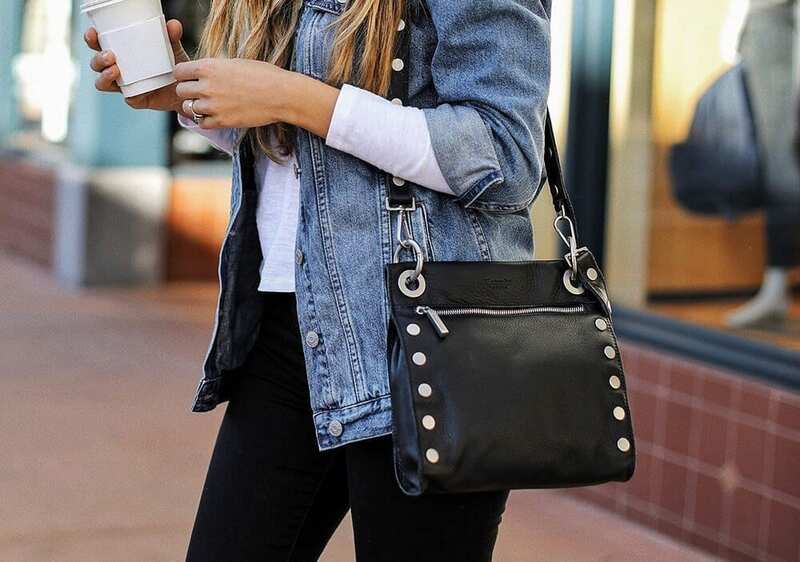 Your handbag, purse or backpack may be designed to be carried over the shoulders, though they may not be ergonomic or good for your body. Carrying a large, heavy bag over one shoulder puts stress on your upper back and neck and can even bend your spine in that direction. If you must carry a lot of things, try using a backpack with a chest strap to evenly distribute the weight. For your day-to-day activities, try using a smaller bag that forces you to only pack the essentials. Smoking has several effects on your body, many of which can result in upper back pain. When you smoke, there’s less oxygen making it to your muscles causing them to work harder for even passive tasks. Long-term smokers slowly experience worse respiratory capacities like less lung capacity and difficulty breathing due to damaged lungs allowing less oxygen to be exchanged into your blood, and smoker’s cough. The chronic, harsh impacts of a smoker’s cough puts strain not only on your lungs but also your back. With the reduced oxygen intake your damaged muscles will then take longer to heal. If you’re thinking of getting serious with your stretching habits, we offer a diploma-correspondent course in Yoga which entitles you to teach anywhere in the world! And the perfect compliment to our Yoga Course is our Anatomy & Physiology course. Whatever you choose here with us at The School of Natural Health Sciences, you can be sure that your CV, spectrum of knowledge, and outlook on life will be forever enriched.